When you think about it, it’s pretty amazing that the video game designers of the ’80s were able to create such iconic and recognizable characters, given that they were all made of large square pixels rendered with an 8-bit processor. 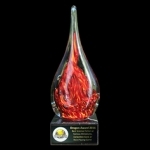 But they did, and those crude designs are still loved the world over today. 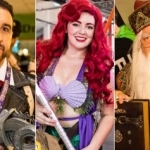 Since pixels and quilt squares are so similar, it’s not surprising that geeky crafters would be drawn to 8-bit characters for quilting inspiration. 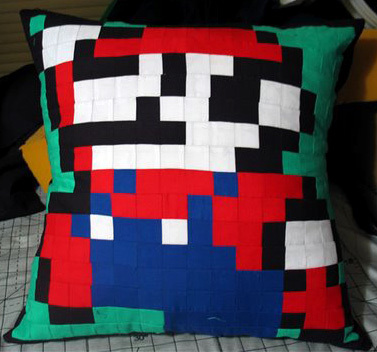 Here are five quilts featuring the most classic Nintendo game, Super Mario Bros.
Rather than the typical blanket, manicmaiden at Crafster made this Mario quilt into a throw pillow. 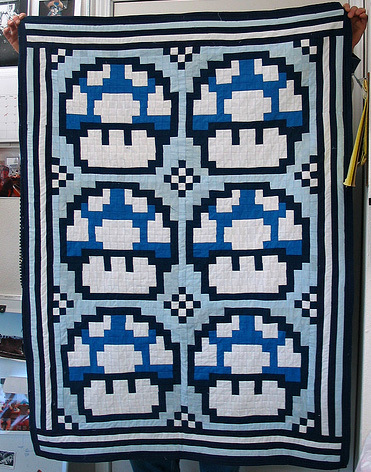 manicmaiden also made this mushroom baby quilt for some friends of hers. 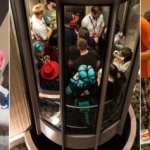 Will it give the baby extra lives or make her grow up big and strong? 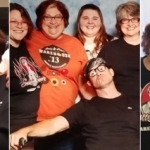 I guess that remains to be seen. 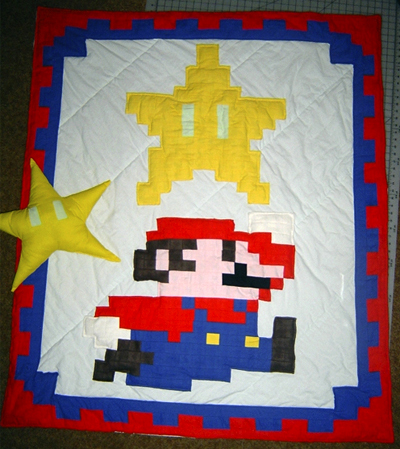 Kotaku reader Mike made this jumping Mario quilt, plus a matching Star Power pillow. 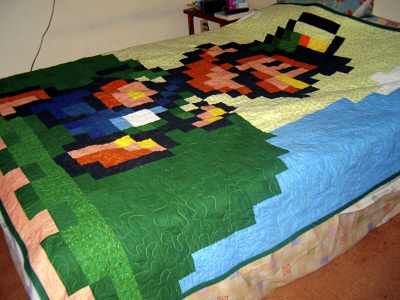 Craftster user jainy made this Luigi quilt as a wedding present for her fiancé with the help of some friends, lots of time, and a Handi-Quilter. 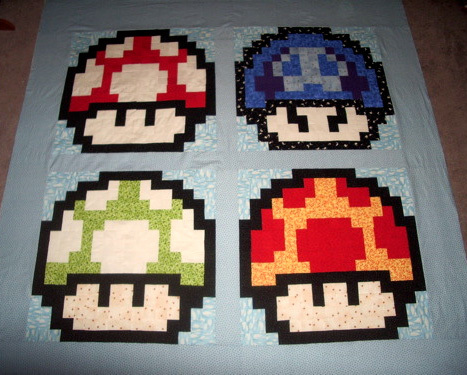 And finally, 3j0hn over at Flickr made this square quilt which features four different variations of mushrooms.